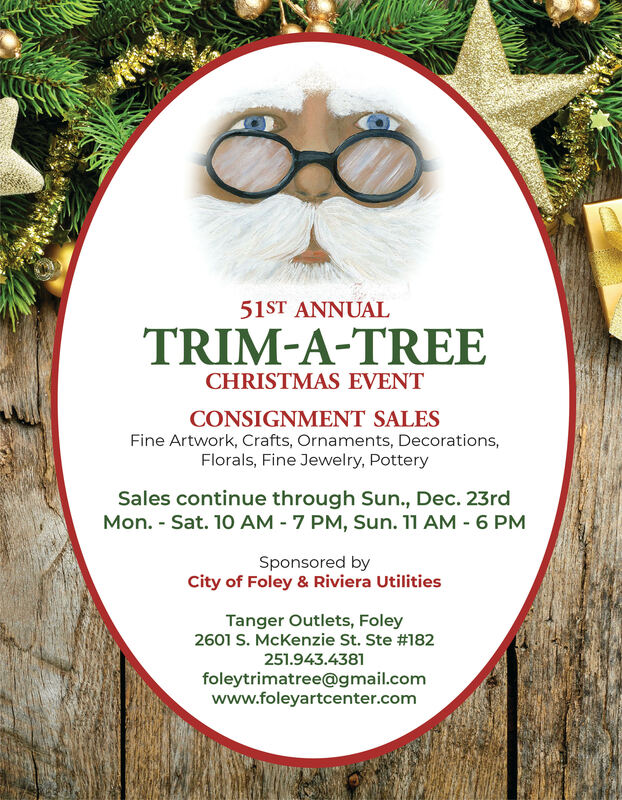 Local Artists and craftsmen have created quality, unique one-of-a-kind ornaments, decorations, florals, pottery, jewelry, and fine artwork to be sold on consignment. 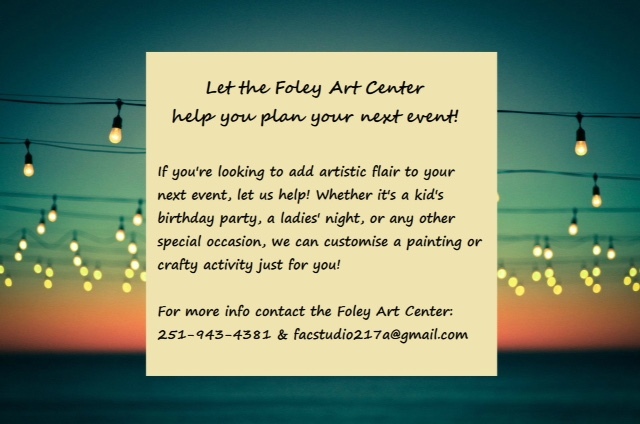 Over 95 fine artists and crafters from through out the South East in Heritage Park, Foley, Alabama. Always Mother’s Day weekend. Juried Show, cash awards. Annual Event since 1971. 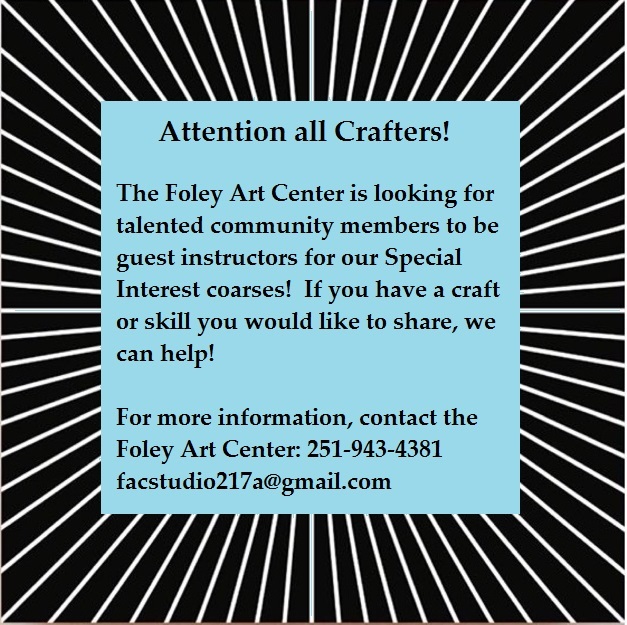 Since 1966 The Foley Art Center has served the Gulf Coast area with our Cultural Enrichment Programs in the local schools, Grants to area School Art Programs and art classes for children and adults.